With the 2018 major championship season kicking off this week at Augusta National with the Masters Tournament, AHEAD has announced the launch of its new Jack Nicklaus Majors Collection. In partnership with the Nicklaus Companies, the new headwear collection features four caps created as a tribute to the game’s most decorated champion and the owner of a record 18 professional major championships. Now available for purchase online, the Collection’s cotton caps feature the iconic Golden Bear logo on the front and all four are available in different styles and colors – Georgia green (such as the hat in the attached photo), marigold, black, and tan. The caps themselves pay tribute to Nicklaus’ remarkable career record as a major championship winner. In addition to his record six Masters’ titles, Nicklaus won five PGA Championships, four U.S. Open Championships and three Open Championships. 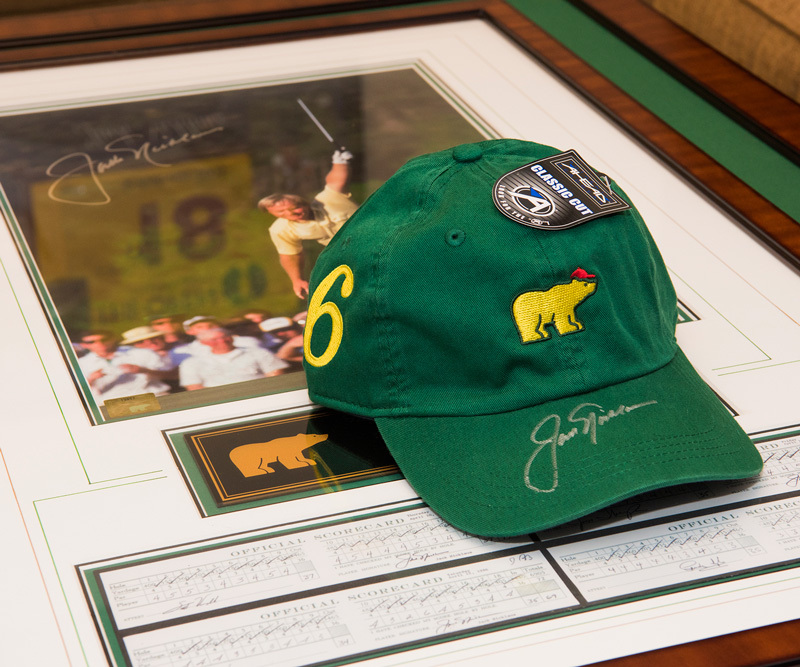 Sales from the Jack Nicklaus Majors Collection help support the Nicklaus Children’s Health Care Foundation. AHEAD’s complete line of Nicklaus headwear, including the new Majors Collection, are available for purchase at the company’s online shop —https://aheadusashop.com/collections/jack-nicklaus. As part of a social media promotion that starts today, AHEAD announced it will give away a Collection cap autographed by Jack Nicklaus. To participate, follow @Aheadusa and @Nicklauscompanies on Instagram, tag three friends, and comment with your best hashtag. The winner will be announced on Sunday, April 8, the same day a champion will be crowned at the 2018 Masters. For additional information on AHEAD, visit its newly redesigned website at http://www.aheadweb.com. Founded in 1995, AHEAD is a multi-dimensional brand with a proven track record of success distributing headwear, apparel, and accessories to the green grass, resort and corporate markets. Its single focus of providing quality products, with innovative, high-quality design, and merchandising concepts has led to more than 20 years of continued growth and expansion. AHEAD is a leading supplier of headwear to the USGA, PGA of America, Ryder Cup and numerous PGA Tour events in addition to more than 5,000 green grass and resort shops throughout the world. Among active professional golfers who wear AHEAD gear on the course are Jim Furyk and Brittany Lincicome. Golf legends Jack Nicklaus and Annika Sorenstam wear AHEAD exclusively.